If the thought of camping fills you with despair, why not try its up-and-coming alternative? Glamping in North Wales is the perfect swap for a traditional camping holiday. The thrill and excitement of sleeping somewhere (possibly under the stars) is still there, but with added luxury and comfort. This is the ideal holiday to bridge the gap between a hotel stay and all out camping. If you want something a little bit out of the ordinary, break away from the hotel lifestyle, hit the wild and go glamping! Glamping still feels pretty adventurous, whilst you’re not in a hotel room with all the mod cons you could think of, you’ll still have some of the little luxuries. You will have swapped your hotel room for somewhere truly incredible, stay in a yurt, a shepherd’s hut or even a tipi. If you’re used to more traditional camping holidays, you’ll enjoy a good night’s sleep on a bed without rocks digging into your back! Camping is the type of holiday that you need to do a lot of preparation for, it’s not just about bringing a tent and off you go. 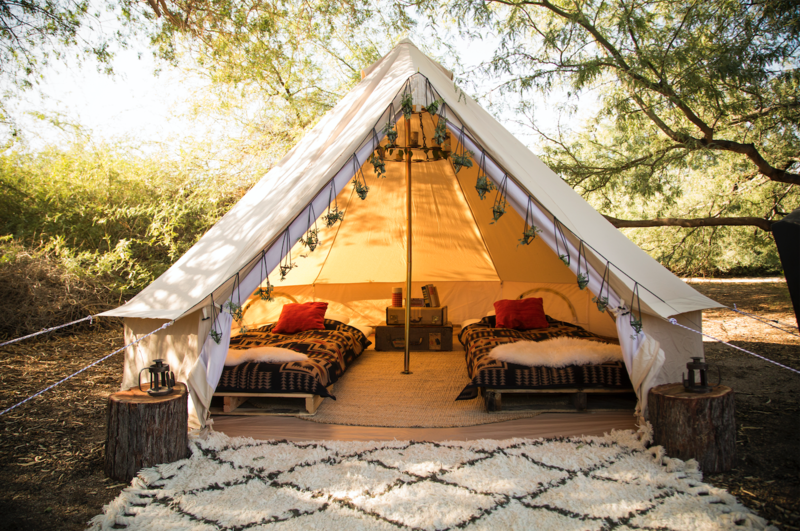 With glamping, you don’t have to buy any additional equipment. You just need to bring yourselves and the bare necessities – simply show up, sit back and take in the beauty of enjoying the great outdoors. With all the distractions of modern technology, it’s getting harder to have a conversation that doesn’t involve emojis! No screens are necessary when you’re glamping, bring a camera to snap a few memories but other than that, put down the gadgets and simply enjoy being with one another. If you’ve been thinking about going off grid in every sense of the word, glamping is the best time to do it. You’ll only have the chance to relax, no checking work emails or social media – all this doesn’t matter when you’re getting back to nature with glamping. If you’ve ever researched glamping before, you’ll know already that they are based in some of the most spectacular locations. Glamping is the natural way to get back to nature and appreciate it in all its beauty. Not just that, but the actual accommodation usually looks super cosy and inviting. There’s something so refreshing about having your meals outside, even if it’s just a BBQ in your own garden at home. When you’re glamping you can eat outside and enjoy letting nature do it’s thing around you. One of the best things about spending time glamping has to be the chance to see the night stars. It gets really dark in the countryside, which allows you to actually spot stars! Glamping is all about sitting back, winding down and enjoying the finer more basic things in life. With no deadlines or schedules to meet, you can relish in the fact that you don’t have anything to do or be anywhere else.